I can't understand the motive of the show. I don't know what he tries to talk. The starting itself is a great mess. He shouts unnecessarily during the conversation. It makes me very tensed and angry and I got frustrated in the starting itself. It was a great insult for David Cooper by the first caller. The question was how come this show has come up to 79 episodes and it was nice question by the caller. But the answer by him was irritating that he cannot know to answer for this question. He was adding it as child and the words used in the shows is unpleasant. Even the guest using the words such as f**k randomly. No one can hear this type of shows. The first caller was dating. Unnecessary talks takes place in this show. The guests does not behave themselves properly as the guests. First of all f**k your show. Oh my god what type of show is this? I can't even hear it for a minute. It was very boring with unwanted talks. Why this show is conducted by him? In my personal thoughts this show is waste of time filled only with unwanted talks. There is no useful things in this show. Highly frustrated after listening to the talks. The title of the show is not at all suit with the talks. They are thinking that it is going well but it was the whole mess. In order to pass their own time they are conducting this stupid show. This show makes me highly angry because of their unwanted stupid talks. "Fucked on the pizza" Is this very important for this show? This show is not to discuss about each other's bed experience. I am really confused whether this is a show or a matrimony?? I can't understand the second caller's motivation. Why he called and what he wants to get things from these stupids? Unwanted noises behind the shows is not at all a good sign for a valuable show. From this the importance they have given to the show is known by us. A 20 year old girl is all the chief guest for this show. They are just making fun of each others. They are getting tired or not after listening to this stupid I get really tired and frustrated. I think both the men have come to know the details of the girl who have come as a guest because she is a small girl and they are asking about the boy friend . It is very stupid behavior. Would you sleep with your sister is a f**k question. I am really depressed because of this show. They are even insulting the callers. What is there about to talk about AVI and the dating with it. The conversations is jumping as they like. There is no order and it was not at all like a show. Full of sexual talks. David is very proud to say him as a gay and it was very stupid. Oh my god I can't bare their idiotic talks. In this situation he is singing and can't able to hear that voice. But for my relief I can hear the song for my relaxation but it was also not played full and while playing the song the idiotic talks is interfered. The question of the fifth caller is somewhat useful I think but it was messed with the stupid answers. They are talking stupid always. If I was an anchor I would have done it better than David. I can't even accept this as a radio show. 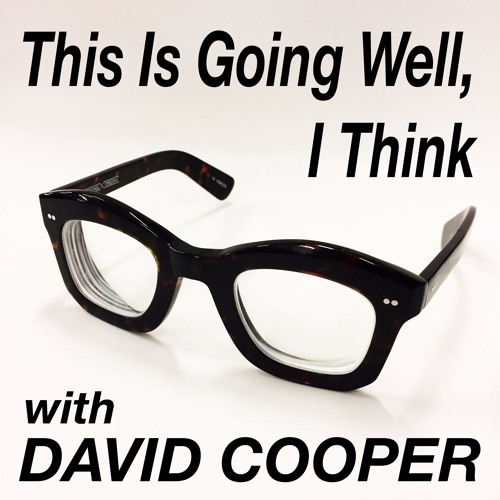 I beg Mr.David Cooper not to conduct this type of show hereafter. I can't bare this type of unnecessary talks. It they asked me to rate this show I will always rate this as negative as I can. Very bad, worst show I have ever heard till now. That went well, I think. I am Karishma.